Pandoro is just as popular as panettone, but it has a fluffier dough and a sweeter and richer flavour, due to a larger content of butter. 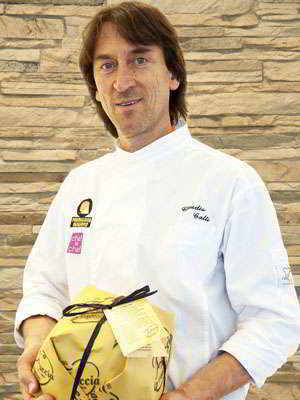 It is unclear when and where pandoro made its first appearance, and countless theories have arisen on the matter. According to one, probably the most accredited, pandoro originated as the nadalin, a Christmas cake eaten in Verona as early as the thirteenth century. 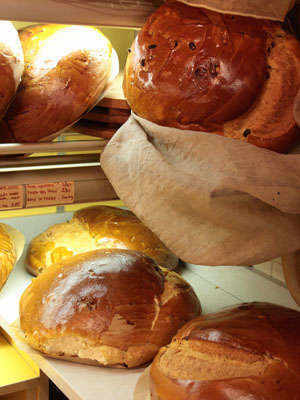 It later assumed the traditional frustum shape and began to be called pan de oro, “golden bread”. In the Golden Age of trade between the Most Serene Republic of Venice and the East, pan de oro – later contracted into pandoro – was presented to the most important customers. 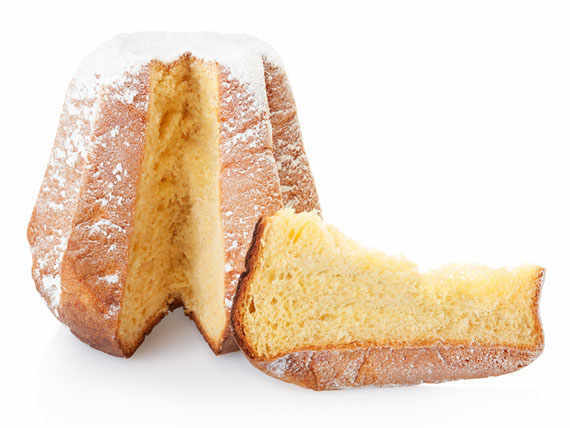 Another story has it that pandoro was conceived as the local version of the French brioche, to which the Doge of Venice was particularly partial. Notwithstanding the speculations, pandoro as we know it made its official debut on 14 October 1884, when the baker and patissier Domenico Melegatti demanded a patent for a fluffy and sweet yeast bread, whose typical shape of a frustum with an eight-pointed star section was designed by neo-impressionist painter Angelo Dall’Oca Bianca. 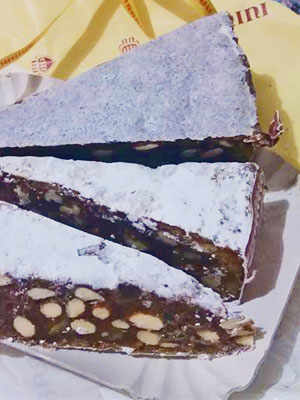 The recipe drew inspiration from the old Veronese custom of women to get together and prepare a sweet leavened bread, named leva, glazed with sugar and almonds. The recipe went on to include butter and eggs to make the dough fluffier and the baking mould created by Dall’Oca Bianca came into use. 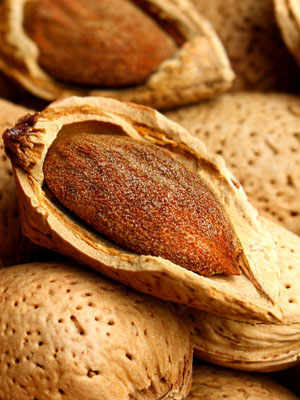 Nowadays, pandoro is available in every supermarket during the Christmas season, but only in artisanal pandoros can you really taste the passion of the baker and the richness of the ingredients.